The Sabbath Year and the Year of Jubilee are years of faith. One had to depend upon God instead of their own labors. Pruning and sowing were not permitted, nor was a typical harvest. One could eat only what grew naturally. This Sabbath rest is experienced weekly day when no work is done, and we must trust God for our needs. In the Year of Jubilee, people are also given their freedom, restored land, forgiven debts, and returned to family. All of this requires people of faith: people who believe in the faithfulness of God. They “ask in faith, with no doubting,” and believe that he hears them, cares for them, and takes care of their needs (John 14:14). These are people who are “rich toward God.” They can honor the Sabbaths of the Lord, not because they are religious or keep the rules but, because they have faith in a heavenly Father who loves them and cares for them “out of fatherly and divine goodness and mercy, though [they] do not deserve it” (Small Catechism). They have learned to trust that Father who frees from sin, restores to heaven, forgives sins, and provides a divine family. 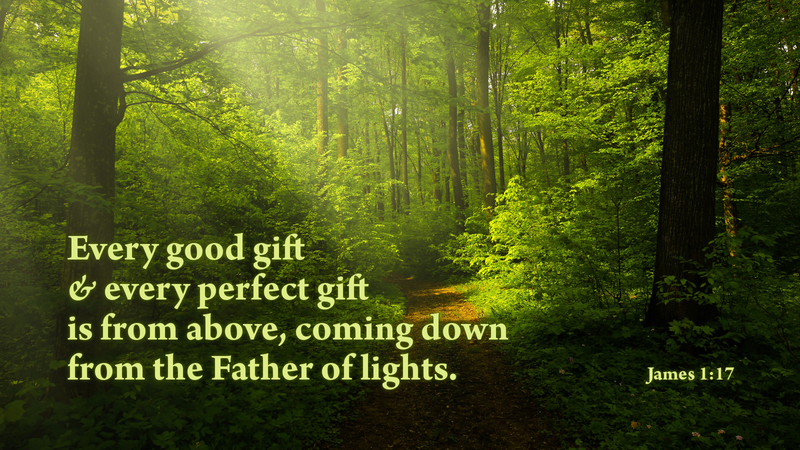 Prayer: Thank you, Father of all creation, for every good and perfect gift you give, especially that greatest gift of all: your own Son, Jesus Christ, my Lord. Amen.